LIFTER has been manufacturing electric stackers since 1988 at its headquarters in Italy. The quality of the LIFTER stackers lies in decades of experience, the know-how of the qualified employees and the modern production facilities. 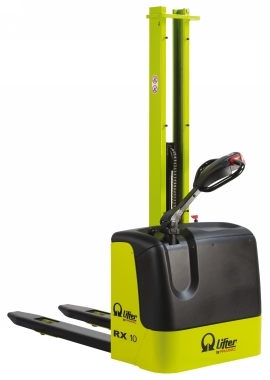 The model range includes semi-professional forklifts, also for large rack heights, for use in smaller warehouses and pallet racks, as well as electric stackers for daily use in medium and large storage areas. The longevity of the LIFTER by PRAMAC stackers is ensured not only by good quality but also by a corresponding service with a guaranteed spare parts supply of 10 years, even beyond a model changeover.